Hay fever. Something we all hear about, many of us suffer from and every year more people seem to be laid low by it. What is it and what can we do about it? Basically it is an allergic inflammation of the nasal airways. An allergen such as pollen or dust is inhaled and if you have a sensitized immune system then production of anti bodies is stimulated and this in turn causes the release of chemicals such as histamine. The problem was first described in 1819 and the frequency of occurrence has increased since then. 1. Seasonal. Typically tied to when pollen counts are highest and tends to develop with patients over 6 years of age. Why is it called hay fever? The symptoms are usually strongest during the haying season but in reality can occur throughout the year. The pollen which causes the problems can come from a number of different sources. In Northern Europe birch pollen is generally predominant. In the southern Mediterranean there is a dominance of olive tree pollen. For Japanese sufferer’s sugi or hinoki tree pollen is a major problem. Grass pollen is equally troublesome with rye grass being a major contributor. 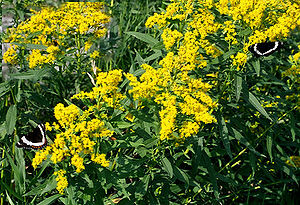 Weeds such as ragweed, plantain, nettles and sorrel can all contribute. The most common way to combat hay fever is to manage the exposure usually by simply staying indoors, especially during the mornings and evenings when the pollen count is highest. Many weather services now broadcast the expected pollen count as an aid to sufferers. 2. As a nasal spray. Side effects such as drowsiness are associated with the early antihistamine drugs. Later medications claim to reduce this. Steroids.Used for nasal inflammations. Impact can be short lived and prolonged use can have side effects common to steroid use. Decongestants.Typically used for nasal congestion and can be used in conjunction with antihistamines. Desensitization.When the symptoms become severe one option lies with allergy shots or allergen immunotherapy. Basically the patient is vaccinated with increasingly large doses of the allergen which should then increase the body’s resistance. Timing of treatments.A lot of these treatments require careful planning in advance of the time of year when the symptoms are strongest. You should not wait until your hay fever is at its worst! Two weeks before the hay fever season starts. Start to take your antihistamine medication. Allow the chemical plenty of time to build up in your body. An antihistamine such as Cetirizine (non-sedating) is a good suggestion and generic versions are generally available. When the hay fever season starts. If your antihistamine is not curing the symptoms then anti-allergy eye drops are the next step. Look out for saline/cromoglycate as a constituent. You might like to try to flush the pollen away by using a saline nasal douche. Another treatment might involve low-dose steroid nasal sprays.If you are reluctant to use drugs then try nasal wax which is rubbed around the nostrils to help trap the pollen. A simple alternative is to rub Vaseline around the nostrils. Alternative medicines are also available and these include the use of butterbur or honey based products. Showering when you come in from outside will help remove pollen. Wear wrap around sunglasses to reduce exposure to the eyes. When driving keep the car windows closed and adjust the circulation of air to internal only. Keep bedroom doors and windows closed especially during the morning and evening. Conclusion.Hay fever is a common complaint and although there is rarely a complete cure it can be managed. Wikipedia main article, covers most of the bases. This article was written by Mike Holly who lives in the North of England where he is currently exploring cottages around Northumberland. At BHI, we can help with your hay fever and other allergies. 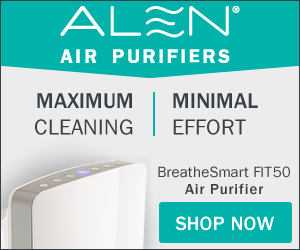 Check out our air purifier center and our allergy air purifier section.